Boat is only to be used during daylight hours. Sunrise to sunset. 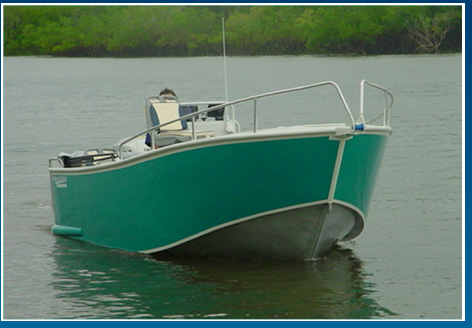 Boat is only to be used in designated sheltered waters. (a) Not to authorize, permit or suffer the boat to be driven by any other person than himself. (b) Not to part with possession of the Hired Equipment. (c) Not to leave the Hired Equipment unattended at any time between the collection and return of the Hired Equipment. (d) To drive the boat and use all the Hired Equipment in a careful and prudent manner and not to operate the Hired Equipment in a reckless or dangerous manner nor whilst under the influence of intoxication of liquor or drugs. (e) To comply with the provision of all statutes, rules and regulations in force in relation to the use or driving of boat in such circumstance. (f) To only use the Hired Equipment in the designated area's and not to take the Hire Equipment out to sea. The hirer must pay ant fines if issued by any officials during the hire period. (a) The Hirer will return the Hired Equipment in good order and in the same condition as when the Hirer first took delivery of the Hired Equipment. (b) The Hirer will return the Hired Equipment to the Owner at the agreed Return Point at the end of the hire period(c) If the Hirer does not return the Hired Equipment, charge will be the equivalent to the rate of one days hire. Hirers will abide by all Maritime Authority, marine and environmental legislation. The hirer is responsible for the re-fueling the vessel. (a) The Hirer shall pay to the Owner the rental and bond as agreed. (b) All the fees must be paid by the Hirer before equipment is delivered to the Hirer. (c) At the conclusion of the hire the Owner shall refund the Bond less any costs incurred, should extra costs exceed the amount of the bond such excess shall be debt due to and recovered by the Owner against the Hirer. The Hirer will not be entitled to recover from the Owner any sum for any delay, inconvenience or loss of any kind due to any accident, breakdown or defect in the Hired Equipment or from any other cause whatsoever. The Owner will pay for repairs as a result of any breakdown or defect provided there is no evidence that the breakdown or defect has been caused or contributed to by the mistreatment or improper use of the Hired Equipment by the Hirer. If there is any evidence that the breakdown or defect has been caused or contributed to by the mistreatment or improper use of the Hired Equipment by the Hirer then the Hirer must pay for any necessary repairs or replacement and bond may be held pending ascertainment to the cost thereof.